His father Zaid bins ‘Amr RA was one of the very few Quraish who did neither believed in nor practiced idolatry – the religion of the Quraish; before the advent of Islam. Before Islam, Arabs often buried their girl children alive. Zaid bin ‘Amr RA was one of the first people to oppose that barbaric tradition. He had saved and raised many girls who were about to be buried alive by their families. Zaid bin ‘Amr RA never participated in the celebrations of various gods and goddesses that were worshipped by the Quraish and other Arab tribes. He traveled widely in search of the True religion of Allah (God). Zaid bin ‘Amr RA used to practice the religion of Ibrahim AS (Abraham). The Quraish used to harass him for his religious beliefs including his brother Khattab bin ‘Amr. Zaid bin ‘Amr RA used to tell people that he was waiting for a Messenger of Allah (God) to come among the descendants of Isma’il AS (Ishmael), but he was murdered five years before Allah (God) chose Muhammad SAW His final Rasul (Messenger). Zaid bin ‘Amr RA was buried near Mount Hira, where Allah (God) sent His first Wahi (Message from Allah) to Muhammad SAW. Sa’id bin Zaid RA was born in Makkah in the year 22BH (Before Hijrah) (600 CE). He had inherited his father’s religious beliefs of Islamic Monotheism, and accepted Islam at a young age. Sa’id bin Zaid RA along with his wife became Muslim when only a handful of people had accepted it. They went through all sorts of abuse, ridicule and torture because of their decision. His mother Fatimah RA was also among the as-Sabiqun al-Awwalun (Early Muslims). Sa’id bin Zaid RA was married to Fatimah binti Khattab RA, sister of Umar bin Khattab, who later became the second Khalifah (Caliph) of Muslims. Umar bin Khattab was a strong opponent of Islam, before he converted to Islam. He was greatly distressed by the bifurcation of the Quraish tribe because of Islam. In his anguish, he wanted to kill the Rasul of Allah, Muhammad SAW, to cement the divided Quraish tribe. One day he decided to resolve the dispute forever. He took out his sword out of its sheath and rushed towards Dar Arqam (House of Arqam RA) where the Rasulullah SAW and his Sahabah (Companions) used to meet in secret during the early days of Islam. On the way, ‘Umar bin Khattab met a Sahabi (Companion) named Nu’aym bin ‘Abdullah RA. Nu’aym bin ‘Abdullah RA could gather by the aggressive stance of Umar bin Khattab that his intentions are very serious. Upon enquiry Saidina Umar bin Khattab RA told him that he is going to kill the Messenger of Allah, Muhammad SAW, who was responsible for dividing the once so cohesive Quraish tribe. Nu’aym bin ‘Abdullah RA advised Umar bin Khattab to take care of his immediate family first. He told him that his sister Fatimah binti Khattab RA and her husband Sa’id bin Zaid RA had also accepted Islam. ‘Umar bin Khattab was outraged at this news. In a fit of anger, he rushed to the house of Sa’id bin Zaid RA, to take care of his sister and brother in-law first. When he reached there, both Sa’id bin Zaid RA and his wife Fatimah binti Khattab RA were listening to the recitation of the Quran by Khabbab bin Arrat RA. He was reciting from the twentieth Surah (Chapter) of the Holy Quran named Ta-Ha. ‘Umar bin Khattab heard his recitation from the outside when he reached their house. He was in a state of confusion, the recitation did have a strange tranquilizing effect on him, but his anger overcame it. He entered their house and started beating Sa’id bin Zaid RA mercilessly. ‘Umar bin Khattab also hit his sister Fatimah binti Khattab R, when she tried to save her husband Sa’id bin Zaid RA. He wanted to force both of them to quit their newly accepted religion of Islam, to return to the age-old religion of ignorance that their ancestors practiced for so long. His merciless thrashing did not yield any results and both remained steadfast. When ‘Umar bin Khattab got tired of beating them, better sense prevailed upon him after seeing them bleeding. A sense of guilt over took him. Then he remembered the strange versed he had heard prior to entering their house. Out of curiosity, he asked them to recite the same verses back to him, which he heard while entering their house. Sa’id bin Zaid RA and Fatimah binti Khattab RA recited those beautiful verses from the Quran again. Its 14th Ayah (Verse) resulted in a total change of heart of ‘Umar bin Khattab. He was awed by the power and truth in the words of Allah (God). ‘Umar bin Khattab went straight to Dar Arqam (House of Arqam R), where the Messenger of Allah, Muhammad SAW was temporarily staying with his Sahabah (Companions) and converted to Islam immediately. Sa’id bin Zaid RA and his wife Fatimah binti Khattab RA were instrumental in the conversion of Saidina Umar bin Khattab RA who became one of the greatest followers of Islam. Rasulullah SAW used to pray to Allah for causing change of heart of either one of the two big enemies of Islam, ‘Umar bin Khattab or Abu Jahl bin Hisham. He wanted either of them to accept Islam and become a Muslim. Allah SWT answered his prayers by sending ‘Umar bin Khattab RA to the folds of Islam. Sa’id bin Zaid RA and his wife Fatimah binti Khattab RA migrated to Madinah with other Muslims. They stayed with Rafa’ah bin ‘Abdul Mandhar RA, brother of Abu Lubabah RA. Sometime later, Rasulullah SAW granted him a piece of land for building a house. In his early career, he served as the secretary of Rasulullah SAW and recorded the verses of the Quran which were revealed to Rasulullah SAW.] History record that Sa’īd bin Zaid RA was a pious man and he never did anything throughout his life against the teachings of Rasulullah SAW. It is said that ‘Sa’īd always covered Muhammad keeping himself ahead and in front of him in battle and always stood behind him in prayers. He took part in a number of battles, even after the death of Muhammad, for the sake of Islam, and fought very bravely. Sa’id bin Zaid RA participated in all the battles fought for the cause of Islam, except the battle of Badr because Rasulullah SAW had sent him and Talhah bin ‘Ubaidullah RA on a reconnaissance mission a few days before it. Muslim army had just returned to Madinah after achieving victory at Badr in their first battle with the Quraish, who greatly outnumbered Muslims; when these two Sahabah (Companions of Rasulullah SAW) also returned from their mission. Rasulullah SAW gave them their share in Mal Ghanimah (War Booties) and told them that they would also get rewarded for Jihad (Striving for the Cause of Allah). Sa’id bin Zaid RA rode with Rasulullah SAW as a commanding officer of a battalion of the victorious Muslim army that conquered Makkah without any bloodshed in the year 8H (Hijrah) (629 CE). Sa’id bin Zaid RA had served under all four Khalifah” Rashidun (Rightly guided Caliphs) after the demise of Rasulullah SAW. During the Khalifah (Tenure of a Caliph) of ‘Saidina Umar bin Khattab RA, he commanded the infantry battalions of the Muslim army during the initial battles in Sham (Syria). Sa’id bin Zaid RA showed exemplary bravery in the battle of Ajnadayn where he commanded a unit. Sa’id bin Zaid RA also participated in the battles for Damishaq (Damascus) and Fahl. He killed the Roman governor of Hums. Sa’id bin Zaid RA was instrumental in the Muslim victory in the battle of Yarmuk. They always showed that they were loyal friends of Rasulullah SAW in all phases of their lives. After the demised of Rasulullah SAW, Sa’id bin Zaid RA, formed the most important link of the caravan of the Islamic service. Sa’id bin Zaid RA showed great effort in the selection of the caliphs. Sa’id bin Zaid RA exerted great efforts in order to prevent disagreement and conflicts. When he placed Saidina Umar RA, who was the symbol of justice, in the grave next to Rasulullah SAW, he was shedding tears. “I am crying for Islam. The martyrdom of Saidina Umar RA is a gap opened in Islam. This gap is not going to be closed until the Day of Judgment.” Thus, he expressed the unique place of Saidina Umar RA in the history of Islam. The mujahids were excited by his speech and played an important role in the Victory of Yarmuk. Their commander fought at the front and kneeled down when he was tired. The enemy panicked when Sa’id bin Zaid RA killed the Byzantine commander. Making use of this panic, Sa’id bin Zaid RA attacked the center. Soon, the river behind them was full of the dead bodies of the enemy soldiers. 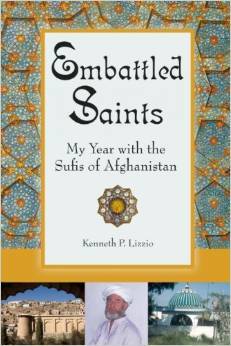 Sa’id bin Zaid RA served in the Islamic army of conquest for a long time. Sa’id bin Zaid RA played an important role in making the region of Iraq and Syria become parts of the Islamic land. Then, Sa’id bin Zaid RA travelled around these regions, and taught and trained people. Sa’id bin Zaid RA tried to prevent the gossips against Saidina Uthman RA and Saidina Ali RA. Mughira bin Shuba was the governor of Kufah. Once, Mughira was sitting in the biggest mosque of Kufah and people had gathered around him. “Against Saidina Ali RA.” When Sa’id bin Zaid RA heard it, he became very sad and said to the governor. Sa’id bin Zaid RA spent the last years of his long life in Aqiq near Madinah. Sa’id bin Zaid RA was engaged in agriculture there. Once, a woman called “Awra binti Uways”, whose land was next to his land, went to Marwan bin Hakam, the governor of Madinah and complained about him. Allah Almighty heard the cry of the oppressed and accepted his prayer. The woman who slandered him became blind after a while. Then, she fell into the well in her garden while she was wandering around her house. The well became her grave. On his death-bed, the second Khalifah (Caliph) of Muslims, Saidina Umar bin Khattab RA, nominated a panel of prominent Sahabah (Companions of Rasulullah SAW) to choose his successor. Because of their close relationship he did not nominate Sa’id bin Zaid RA on it; although he was qualified to be included in that panel. Sa’id bin Zaid RA did not mind it at all and was among the first Muslims to do Baiah (Pledge Allegiance) to the newly elected Khalifah (Caliph) of Muslims, Saidina Uthman bin ‘Affan RA. Sa’id bin Zaid RA was in Kufah when Saidina Uthman bin Affan RA was martyred. Sa’id bin Zaid RA was disgusted by the events that followed the Shahadah (Martyrdom) of Saidina Uthman bin ‘Affan RA. Sa’id bin Zaid RA withdrew himself from active life and did not participate either in the battle of Jamal or Siffin. He spent his life in prayers living in a quite suburb of Madinah. Sa’id bin Zaid was offered the office of a Governor on account of his courage and administrative abilities, but he did not accept it. Once he was appointed Governor of Damascus without his consent. He wrote to Abu ‘Ubaidah RA, “I am unable to offer such a sacrifice. You will perform Jihad while I will be deprived of it. Please send someone else to replace me as soon as you receive this letter. I am coming to you soon.” Later, he fought as an ordinary soldier in all the battles which were waged for the cause of Islam. He is said to have passed the rest of his life in perfect peace and did not ever incline towards the mundane pleasures of life. He disliked taking oaths. Once he had to attend a court of law in connection with a suit. The judge asked him to speak on oath. He withdrew his case and abandoned his claim. His submission to faith, his fear of Allah, and his services for the cause of Islam, earned him the glad tidings from Muhammad during his lifetime that he would enter the Eternal Gardens in the life hereafter. Sa’id bin Zaid RA greatly respected the fourth Khalifah (Caliph) of Muslims, ‘Ali bin Abu Talib RA, to whom he had also pledged his allegiance. Sa’id bin Zaid RA died in Madinah in the year 50 or 51H (Hijrah) (670-673 CE) on a Friday. Sa’ad bin Abu Waqqas RA gave him the final bath and ‘Abdullah bin ‘Umar RA lead his Janazah Salah (Funeral Prayers). He died aged seventy nine in 673 AD (51 AH) during the reign of Muawiyah and was buried by Saad ibn Abi Waqqas and the son of Umar. In 673 (AH) Said bin Zaid RA passed away. He prayed Salatul Fajr at the Masjid one morning, returned home and passed away during his nap. Sa’ad ibn Abu Waqqas RA and Abdullah ibn Umar RA were the sahabah who performed Said Bin Zaid RA ghusl. Both of them give the account that whenever they perfumed the body of Said bin Zaid RA , they found that his body already had the sweetest of smells. It was as if Allah SWT was saying to Said bin Zaid RA that his service has been accepted. ‘Atikah binti Zaid RA, the sister of Sa’id bin Zaid RA was married to ‘Abdullah bin Abu Bakr RA. After his death, Saidina Umar bin Khattab RA married her. When Saidina Umar bin Khattab RA achieved Shahadah (Martyrdom), Zubair bin Al ‘Awwam RA married her who also achieved Shahadah (Martyrdom). Allah, may He be glorified, heard the prayer of Zaid RA. When Muhammad the Messenger of Allah rose up inviting people to Islam, his son Said was in the forefront of those who believed in the oneness of God and who affirmed their faith in the Prophethood of Muhammad. This is not strange for Said grew up in a household which repudiated the idolatrous ways of the Quraish and Sa’id bin Zaid RA was instructed by a father who spent his life searching for Truth and who died in its pursuit. Said was not yet twenty when he embraced Islam. His young and steadfast wife Fatimah, daughter of al-Khattab and sister of Umar RA, also accepted Islam early. Evidently both Said and Fatimah managed to conceal their acceptance of Islam from the Quraish and especially from Fatimah’s family for some time. She had cause to fear not only her father but her brother Umar who was brought up to venerate the Kabah and to cherish the unity of the Quraish and their religion. Umar Al Khattab was a headstrong young man of great determination. Sa’id bin Zaid RA saw Islam as a threat to the Quraish and became most violent and unrestrained in his attacks on Muslims. Sa’id bin Zaid RA finally decided that the only way to put an end to the trouble was to eliminate the man who was its cause. Goaded on by blind fury he took up his sword and headed for Rasulullah’s house. On his way he came face to face with a secret believer in Rasulullah who seeing Umar’s grim expression asked him where he was going. “I am going to kill Muhammad…” There was no mistaking his bitterness and murderous resolve. The believer sought to dissuade him from his intent but Umar was deaf to any arguments. He then thought of diverting Umar in order to at least warn the Prophet of his intentions. Umar then made his way to the house of al-Arqam and declared his acceptance of Islam and Rasulullah SAW and all his companions rejoiced. Said bin Zaid RA and his wife Fatimah were thus the immediate cause which led to the conversion of the strong and determined Umar and this added substantially to the power and prestige of the emerging faith. Sa’id bin Zaid RA was totally devoted to Rasulullah SAW and the service of Islam. Sa’id bin Zaid RA witnessed all the major campaigns and encounters in which the Prophet engaged with the exception of Badr. Before Badr, he and Talhah were sent by the Prophet as scouts to Hawra on the Red Sea coast due west of Madinah to bring him news of a Quraish caravan returning from Syria. When Talhah and Said returned to Madinah the Prophet had already set out for Badr with the first Muslim army of just over three hundred men. After the passing away of Rasulullah SAW, Sa’id bin Zaid RA continued to play a major role in the Muslim community. He was one of those whom Abu Bakr consulted on his succession and his name is often linked with such companions as Uthman, Abu Ubaidah RA and Sad ibn Abi Waqqas RA in the campaigns that were waged. Sa’id bin Zaid RA was known for his courage and heroism, a glimpse of which we can get from his account of the Battle of Yarmuk. 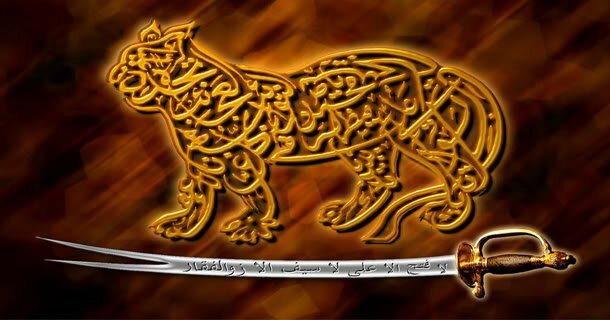 Sa’id bin Zaid RA said: “For the Battle of Yarmuk, we were twenty four thousand or thereabout. Against us, the Byzantines mobilized one hundred and twenty thousand men. They advanced towards us with a heavy and thunderous movement as if mountains were being moved. Bishops and priests strode before them bearing crosses and chanting litanies which were repeated by the soldiers behind them. Sa’id bin Zaid RA was ranked by Rasulullah SAW as one of the outstanding members of his generation. He was among ten of the companions whom Rasulullah SAW visited one day and promised Paradise. These were Abu Bakr, Umar, Uthman, Ali, Abdur-Rahman ibn Awl, Abu Ubaidah RA , Talhah, Az-Zubair RA, Sad of Zuhrah, and Said the son of Zaid the Hanif. The books of Rasulullah’s sayings have recorded his great praises of the Promised Ten (al-‘Asharatu-l Mubashshirun) and indeed of others whom on other occasions he also gave good tidings of Paradise. There are many verses in the Qur’an concerning the companions. Sa’id bin Zaid RA narrated 48 Alhadith (Sayings of Muhammad SAW). Narrated Sa’id ibn Zaid: AbdurRahman ibn al-Akhnas said that when he was in the mosque, a man mentioned Ali (may Allah be pleased with him). So Sa’id ibn Zayd got up and said: I bear witness to the Apostle of Allah SAW that I heard him say: Ten persons will go to paradise: Rasulullah SAW will go to paradise, Abu bakr will go to paradise, Umar will go to paradise, Uthman will go to paradise, Ali will go to paradise, Talhah will go to paradise: Az-Zubayr ibn al-Awwam will go to paradise, Sa’d ibn Malik will go to paradise, and Abdur Rahman ibn Awf will go to paradise. If I wish, I can mention the tenth. The People asked: Who is he: So he kept silence. The again asked: Who is he: He replied: He is Sa’id ibn Zaid. .. (Abu Dawud Book #40, Hadith # 4632) Recorded in Ibn Majjah as well.